Originally published in 1945, this book presents a discussion of medieval literature, focusing to a large extent on French literature. The text emphasises the fundamental differences between the medieval period and modern times, most notably the changes engendered by the invention of print. 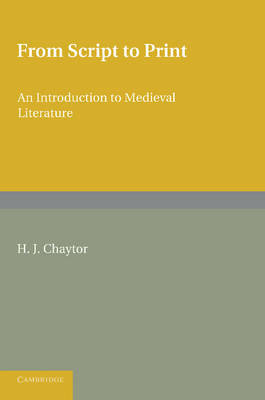 As noted in the introduction, 'if a fair judgment is to be passed upon literary works belonging to the centuries before printing was invented, some effort must be made to realise the extent of the prejudices under which we have grown up, and to resist the involuntary demand that medieval literature must conform to our standards of taste or be regarded as of interest purely antiquarian'. This book will be of value to anyone with an interest in medieval literature and literary theory.